Not headed to Staten Island tonight? OK. I do sort-of understand. After all, you might be avoiding vampires, because the game will end at night. Perhaps your GPS is broken, and the Staten Island Expressway is something you can't find, or perhaps you're trying to avoid Yankee traffic. 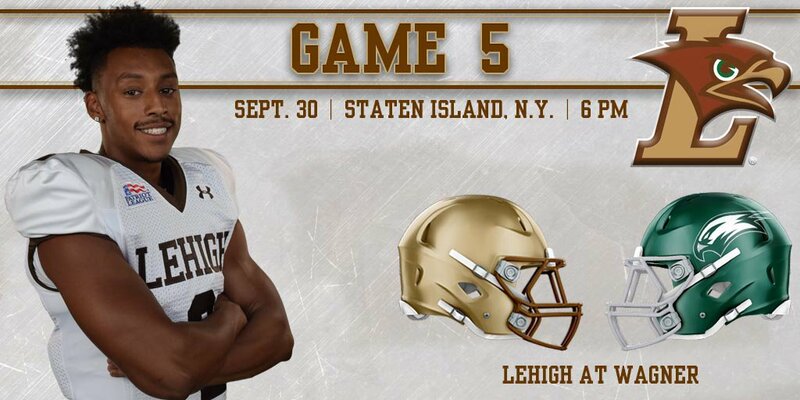 Kickoff time at Hameline Field at Wagner Stadium in Staten Island, NY is 6:00PM. The game is not available on regular TV. Wagner football games are available at the NEC's streaming network called NEC Front Row. The link to the Lehigh/Wagner game is here. As you may have heard, there are other college football games across the country. A full information broadcast pack on every single game is here, which includes every video link, every broadcast team, and every Division I college football game, and yes, fans it includes TV and live stream information on the Penn State/Notre Dame game, too. Additionally, CSJ pcks all the FCS Top 25 matchups this week here.